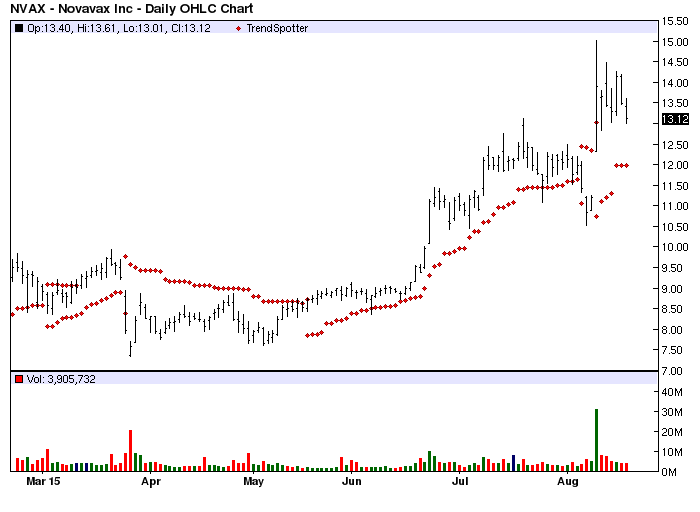 The Chart of the Day belongs to Novavax NVAX. I found the biopharmaceutical stock by using Barchart to sort the Russell 3000 Indexstocks for the stocks with the highest Weighted Alpha then again for the stocks with technical buy signals of 80% or better. Novavax is a specialty biopharmaceutical company engaged in the research, development and commercialization of proprietary products focused on women's health and infectious diseases. Their technology platforms involve the use of proprietary, microscopic, organized, non-phospholipid structures as vehicles for the delivery of a wide variety of drugs and other therapeutic products, including certain hormones, anti-bacterial and anti-viral products and vaccine adjuvants. 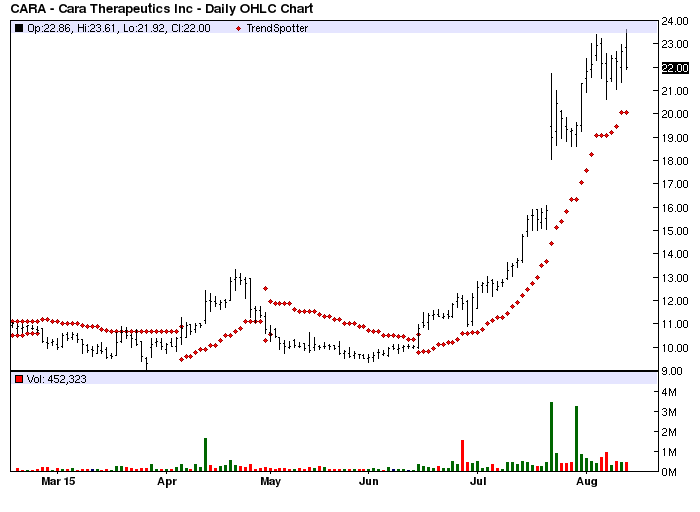 The 20-100 Day MACD Oscillator has been the most reliable technical trading strategy on this stock.